Commercial properties must have a roof in perfect condition. It's imperative for the functionality of the building. From keeping the temperatures in your property regulated to preventing water from damaging the interior, a roof must be in good condition at all times. Preventive Maintenance Support Services Company is a professional commercial roofing contractor. If you just need a repair or a complete re-roof, you will be happy that you found us. What Types of Commercial Roofing are There? 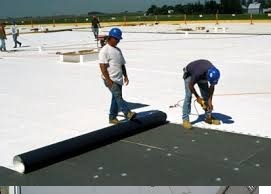 Modified Bitumen roofing is pretty much the same as hot tar roofing with the exception of the final ply of roofing known as the roofing cap sheet. What different in this roll of commercial roofing material is that rubber from car tires is melted in with the asphalt. 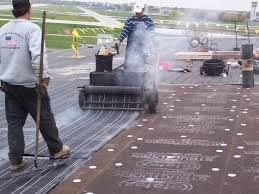 The adding of rubber to the asphalt "modifies" the roller roofing material. The practice was started in the 70 to help reduce the burden of large amounts of rubber tires in landfills. It turns out however, that there are the benefits. There are many different benefits to re-roofing your business which are hard to ignore, especially when you are facing a damaged roof. First, when you re-roof your commercial building you eliminate existing leaks that are causing you issues. Additionally, it allows for the changing of shingle colors for a more eye appealing look for your building. Also, when commercial re-roofing is performed, it allows for our expert staff to inspect your roof and identify any areas that would be troublesome in the future, and correct them in the process; saving you time and money. What Should You Consider Before Re-Roofing Your Commercial Roof? Knowing the shape of your roof is important as it can determine which direction your water drains during a storm. Additionally, determining the type of material you will be using is another key factor to have in mind. Finding a company that can provide your business with affordable yet reliable re-roofing services is imperative as well. Our expert staff not only has industry leading services, we also have the knowledge to assist you with the different decisions you will face including the materials to use and the style of roof to install. How Can Preventive Maintenance Support Services Company Help With Your Commercial Roofing Needs? Our goal for all of our commercial customers is to have efficient and affordable repair and installation services for their roofs. Our technicians can assist you from beginning to end with your commercial re-roofing project. From choosing the correct roof style and materials to providing industry leading installation services. Our staff is courteous and helpful and will keep you up to date with all the work being performed. Don’t take our word for it, see what your Boca Raton, FL neighbors are saying here! When it comes to commercial re-roofing, trust the experts from Preventive Maintenance Support Services Company. We provide industry leading services without breaking the bank. So before you start pulling out buckets for the roof leaks in your business, or pay another higher than usual bill, call us! 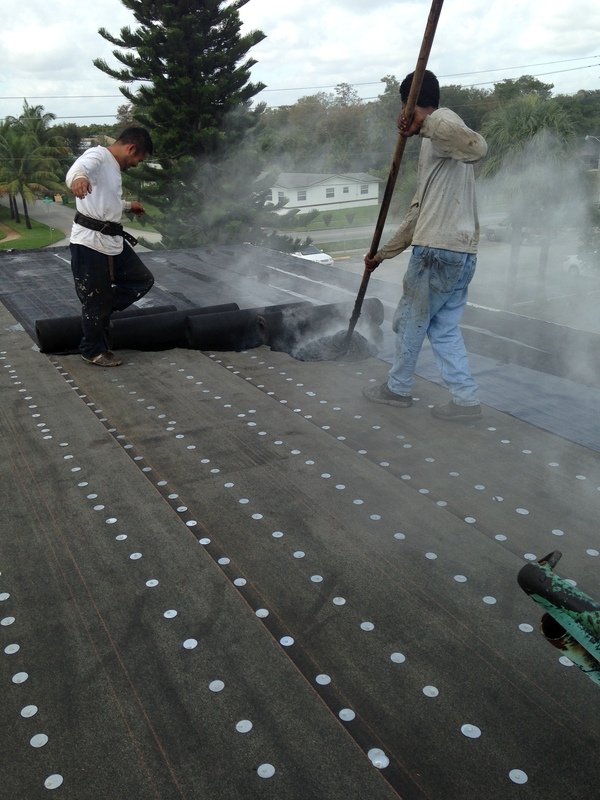 Does your Boca Raton, FL business suffer from an old leaky roof? Call us at (561) 586-5655 for efficient, professional, and affordable repair services today!